The medical devices developed and marketed by STEMCIS enable to harvest, process and re-inject adipose tissue. The product obtained is high quality with unique properties. Although liposuction is mostly painless and can be performed under local anaesthesia, the harvesting of adipose tissue is not a trivial thing for the cells it contains. The protocol used for cell harvesting can trigger cell death and inflammation. It is therefore essential to handle adipose tissue with precaution in order to preserve its viability and the cells' properties without creating oil release and inflammation. 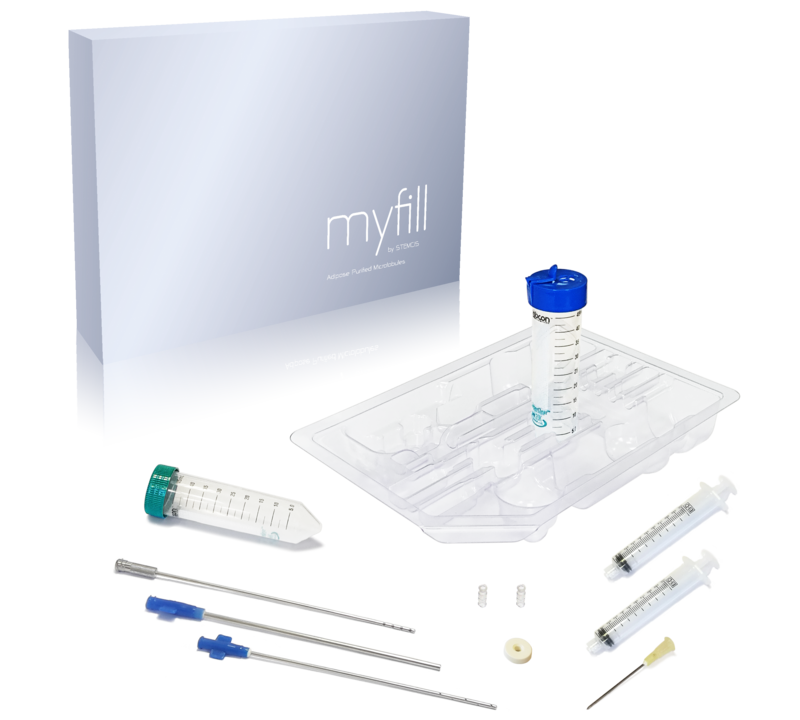 Myfill allows to obtain a high quality adipose tissue composed of Adipose Purified Microlobules (APM). This biological product has anti-inflammatory and regenerative properties giving it a therapeutic potential in multiple indications. In addition to the liposuction potential damage, the isolation of cells from the adipose tissue is a factor of deaths and inflammation. Therefore, the same care must be taken when purifying adipose tissue and isolating cells, to ensue they maintain their optimized regenerative potential. 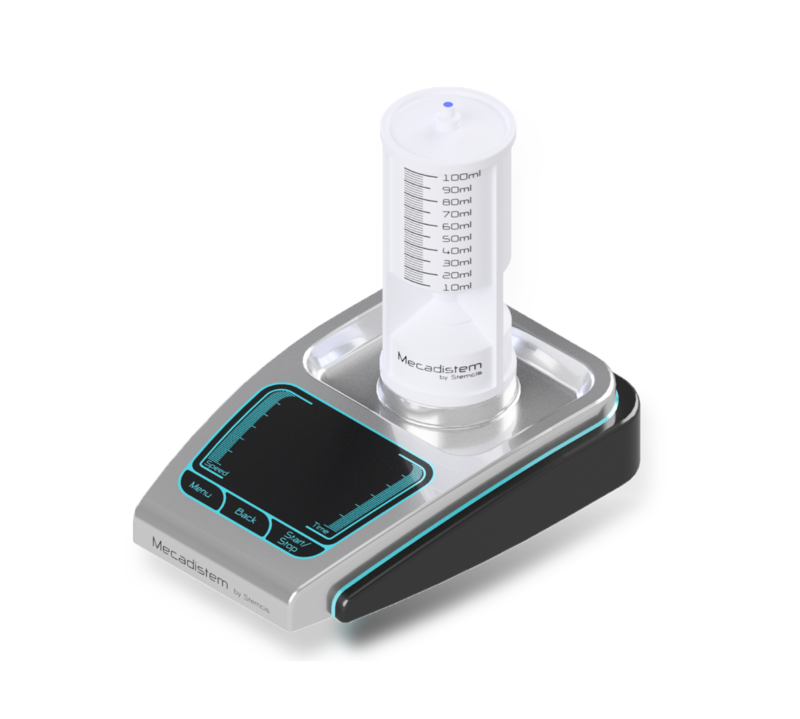 Mecadistem allows to obtain Adipose Tissue Purified Cells (ATPC). These cells are able to regenerate damaged tissue following various pathologies.